If you want to make a fresh start and to relocate to Florida, preparation should start right now. The more time you have to plan, the more efficient and successful your move will be. 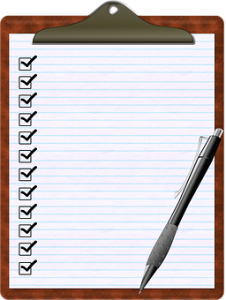 Making a moving checklist is something you have to do if you want to do everything properly, and not to forget some moving steps. 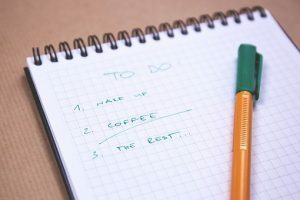 The moving checklist includes everything, from finding a reliable moving company, packing strategies, to finding a safe storage unit and a new home. There are a lot of things to consider and to think about when planning a move. So, take time to plan and follow your to-do list. By respecting your moving checklist your move will be easy and comfortable. Every moving checklist starts with a moving date. This is the first thing you have to do. Decide what time of year is the best for you to take a move. Our suggestion is to pick the middle of the week because the prices are lower than moving during the weekends. Also, avoid moving during the summer, because this is the busiest time of the year for movers and the prices are significantly higher than in months between September to April. When you have picked the moving date that is convenient for your needs and budget, it is time for the second step. 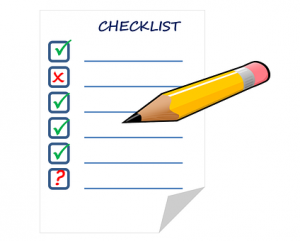 There are a lot of things to do on your moving checklist. Second, but the most important step in your moving checklist is finding and hiring a reliable moving company in Florida. When you start your search for dependable movers you should compare few moving companies. The most important is to check their background, license, reviews, and services. Make sure to hire a moving company that has the perfect balance between services and affordable price. Be careful if the moving price is too low because maybe you are dealing with rogue movers. After you read their reviews, compare quotes from different moving companies. In this way, you will find the one that is the perfect choice for your budget and needs. Today it is not hard and complicated to find movers you can trust. You just need to make a good research, and to be very careful. In the sea of moving companies, you need to pick the one you can completely trust with your most precious belongings. To start your packing process successfully, you need to declutter and clean out your home. There are a lot of items you can sell, donate or just throw away. You need to clean and declutter each room of your home strategically. If you have a yard, arrange a garage sale so you can sell items you won’t use in your new home. In this way, you will also earn some extra money to pay your long distance movers Miami. Another great thing you can do is to donate the items, you will make someone happy. By riding of the unnecessary items, you are cutting your moving expenses. So, make sure to do it before you continue following other steps on your moving checklist. Make sure to get packing supplies ahead of time. You can find free moving boxes in your near grocery store or on the Craiglist, or you can get it from your professional packers in Miami. A moving company can provide you with the best quality of packing tapes, wrapping materials, cardboard boxes. Save your time and energy and ask your movers for packing supplies. In this way, you will move completely hassle-free. Another important step on your to-do list. To have a successful relocation you need to notify your utility company, too. You want to have access to your cable and electricity immediately after the move. So, make sure to arrange it on time, before you leave your current home. If you forget to notify your utility company you may be risking unpacking in dark and many other complications in your new home. Don’t forget to do it! You will need your essentials for the first days and nights in your new home. After you are done with packing your furniture, clothes and other unessential, it is time to pack your essentials. Your essential box should include items you need for first time in your new home. For example, you should pack cleaning supplies, canned food, clothes, your kid’s favorite toys, etc. When planning to move, another step on your to-do list is changing your address. Before the move, don’t forget to notify USPS of your address change. If you are moving with children, you need to put a lot of efforts in preparing your children for long distance move. So, it is a good idea to have extra help. Save your time and energy and reduce the stress by hiring someone capable to watch your kids while moving. When you have a lot of things to do and a lot of boxes to pack, you really need someone you can trust to watch them. Last but not least, don’t forget to save all your receipt during the move. You may be allowed to deduct moving expenses from your taxes at the end of the year. Everything from your packing supplies, moving company’s cost could be eligible. All you need to do is to save receipts and ask someone for the tips on deducting moving expenses. Learn about the regulations in Miami to know if it is possible to deduct moving expenses in Florida.